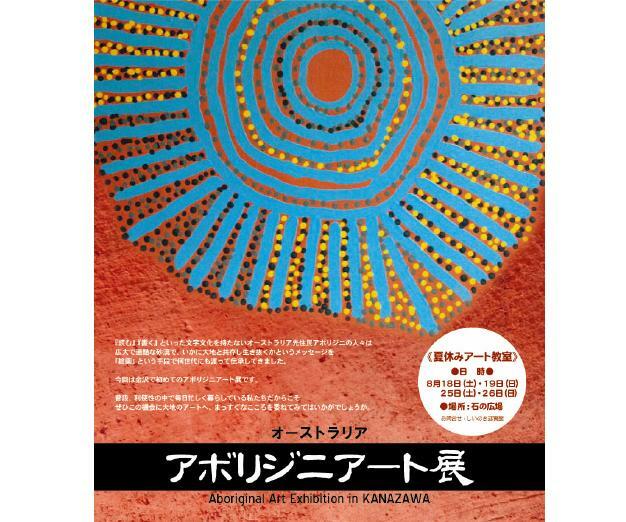 Aboriginal Art Exhibition in Kanazawa poster. Fancy guessing the most successful solo exhibition ever given by an Australian artist? Maybe, Sidney Nolan in New York? Tom Roberts in London, perhaps? What about Brett Whiteley in Paris? Nah. Here’s a hint: the artist was indigenous. Ah, well, in that case, it’d have to be Albert Namatjira, right? Nope. Wrong again. In fact, the late Emily Kame Kngwarreye holds the honor with wildly successful exhibitions in Tokyo and Osaka back in 2008. Over 120,000 visited the exhibtion, which featured over 200 works valued at more than $50 million. Crucial in the success of those exhibitions, as well as prior and subsequent triumphs by contemporary Indigenous Australian artists in Japan, was Mayumi Uchida, a Melbourne-based Aboriginal Art Coordinator. Uchida came into contact with Indigenous Australian art purely by coincidence back in the 1990s while taking shelter from the rain in Melbourne in a gallery where she was immediately offered a job and introduced to Aboriginal art in the process. She has since become deeply enmeshed in Indigenous Australian culture and art, penning a book in Japanese on her experiences mainly with the community at Utopia, known for its brilliant collection of artists (many of whom didn’t start painting until they were already middle-aged or, as with Emily Kame Kngwarreye, elderly). Uchida will be running an Indigenous Australian Art Exhibition and Workshop in Kanazawa from next weekend. Accompanying her, and taking part in the workshops will be Barbara Weir, effectively a foster daughter of Emily Kame Kngwarreye and a proficient and accomplished artist in her own right.